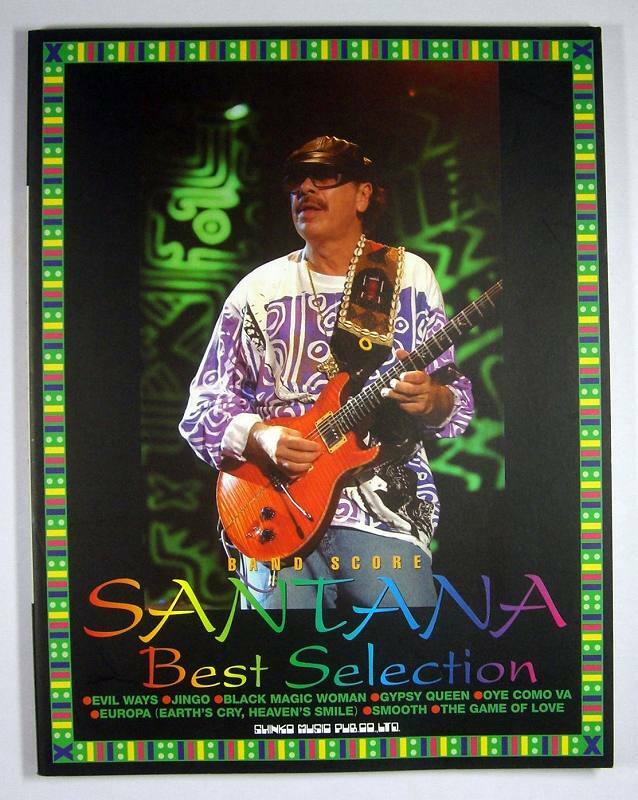 SANTANA, BEST. Evil ways -jingo -black magic woman -gypsy queen -oye como va -Europa (earth's cry, heaven's smile) -smooth -the game of love. BAND TAB. 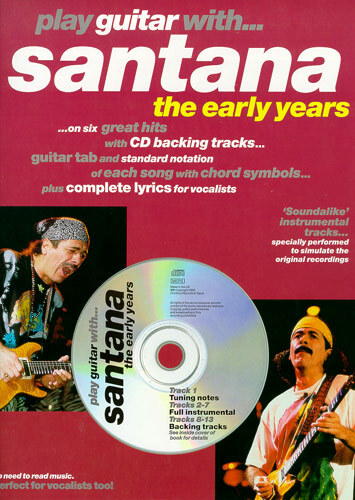 SANTANA WITH: THE EARLY YEARS. Basi per voce e per chitarra: black magic woman -hope you're feeling better -no one to depend on -oye como va -samba pa ti -she's not there. CD TAB. 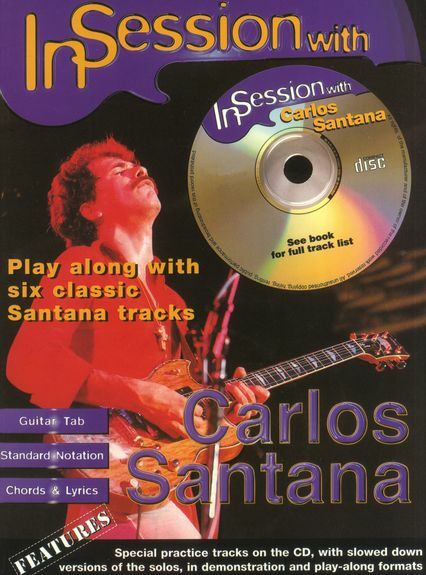 Play guitar on six great Santana songs with these specially recorded CD backing tracks plus matching music book. The music book features both guitar tab and standard notation of each song, plus complete lyrics. SANTANA, DANCE OF THE RAINBOW SERPENT, VOL.3 SPIRIT. TAB. SANTANA, DANCE OF THE RAINBOW SERPENT, VOL.1: HEART. TAB. 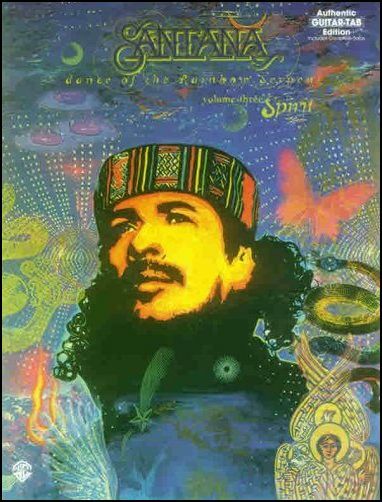 SANTANA, DANCE OF THE RAINBOW SERPENT, VOL.2: SOUL. TAB. Backing tracks. Basi precedute da ascolto completo e studio: Flor de luna -sensitive kid -Europa -samba pa ti -all I ever wanted -Hannibal. Play along with six classic tracks, transcribed and arranged exclusively by guitarists for guitarists! These note-for-note transcriptions in standard notation and guitar tab feature full top lines with lyrics and chord symbols, as well as a breakdown and analysis of each solo, containing essential hints and tips. Includes special practice tracks on the CD, with slowed-down versions of the solos, in demonstration and play-along formats. Titles are: Flor D'Luna - Sensitive Kind - Europa -All I Ever Wanted - Samba Pa Ti - Hannibal. 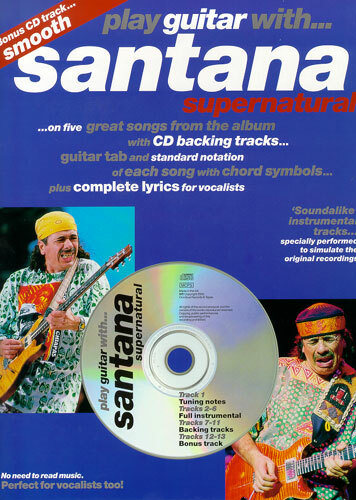 SANTANA, SUPERNATURAL. Africa bamba -the calling (with Eric Clapton) -corazon espinado -do you like the way -el farol -love of my life -Maria Maria (featuring wyclef jean) -migra -primavera -put your lights on -smooth (featuring rob thomas) -wishing it was -(da le) yaleo. TAB. SANTANA, WITH SUPERNATURAL. Basi per voce e per chitarra: Do you like the way -el farol -Maria Maria -primavera -out your lights on -smooth. CD TAB. Play guitar on five great songs from the outstanding Supernatural album with these specially recorded CD backing tracks plus matching music book. The music book features both guitar tab and standard notation of each song, plus complete lyrics. The CD contains two specially recorded backing tracks of each song. The first is a full demo with guitar, showing you how it should sound, and a backing for vocals. The second is a backing track without guitar for you to play along with on your guitar. Both versions are without vocals and have instrumental cues so you can sing along too, with or without guitar. Includes bonus CD backing track of Smooth. SATRIANI JOE, FLYING IN A BLUE DREAM. TAB. SATRIANI JOE, CRYSTAL PLANET. TAB. Matching folio includes all 15 songs from the best-selling album, including the title song plus, Plus photos from the recording.